November 4, 2013, USA Tour, not sure what flight this was but the blog is on a United Airlines napkin...which of course came with my coffee. 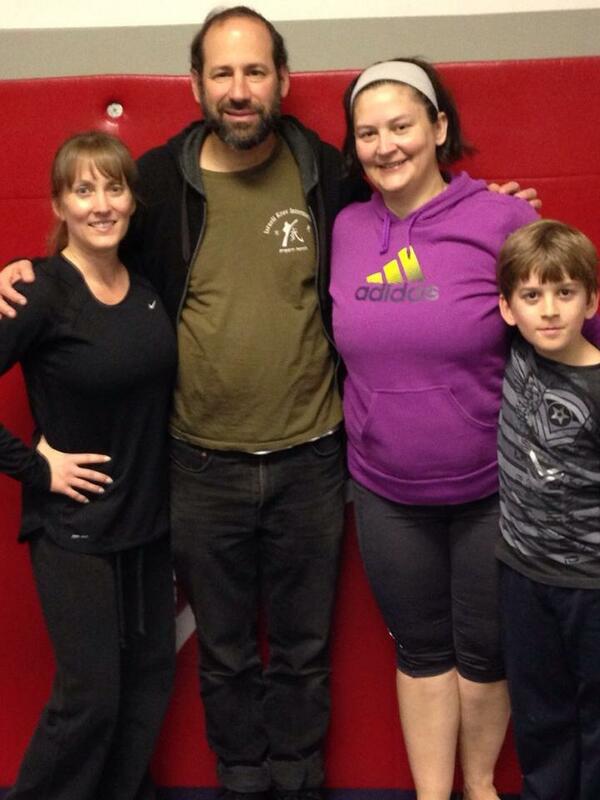 Krav Maga students come in all sizes and shapes. IKI Krav must fit every body. The more I travel, the more I see of America, the more I realize how difficult it is to be an individual in a non-individual world. Everything around us pushes us to conformity. People do not realize it of course, that somehow they are all being orchestrated into a world of uniformity. To be certain there are attempts at individuality; praiseworthy they are: women try and mix and match outfits. Of course they cannot create their own clothing but it is as if they are "allowed" a certain degree of freedom within the range decided by the fashion leaders. They can choose within that range and create a small degree of a personal statement. A way of saying, "I am different, I am an individual:. But of course individually is not determined by clothing. In the Holocaust, in the concentration camps, our individual clothing was removed, our names were replaced with numbers, we all had the same striped prisoner uniforms but the true individual never lost his identity. (Of course I was not here personally but I refer to the collective memory with which I was raised and live). Having spent tons of time at airports this past month I observed how both men and women try to create individual hair styles, an expression of individuality. I have long since given up that battle and it does not matter to me. My individuality is not in my hair. My individuality is not in my clothing. At the airports I watch people and I think. What are they trying to say? They are trying to say I want to be someone. I want to be someone different than the others. I want to be me. I want the world to notice me. For me personally clothing is just functional. I believe one should make an attempt to dress decently, as a rabbi once told me, "Eat for yourself, dress for others." Years ago I used to think about what T shirt I wore for training, but then I realized that 30 seconds into a workout I totally had no idea what I was wearing. It was not the T shirt that mattered, it was the spirit inside. That has remained true today. Our personality is not in our clothing. Our personality is not in anything exterior, in anything that can be taken away. Our true personality is deep within our soul. Accidently wearing the wrong shirt will not affect who we are. There is a rabbinic expression, "Just as their faces are not the same, so are their thoughts not the same." The idea here that the rabbis are teaching is very profound; Do not teach everyone the same way, do not expect the same reaction from each person. Understand that each person was created as an individual, it is only our society that tries to create uniform robots out of everyone. It is our task to reclaim that individuality. Many martial arts are truly "one size fits all". Kata, pre-arranged forms, two step techniques and so forth; everyone must be the same, everyone must do the techniques in an identical manner. But they have forgotten the words of the rabbis, just as their faces are not the same so are their thoughts, their personalities, their bodies, not the same. Our style, IKI Krav Maga, is for everyone. During this wonderful one month tour of the USA I have trained many people. Some are great athletes, some are not. Some are former or current police, military and Special Forces, some are overweight housewives. Some are healthy, but many are no longer one hundred percent. Some have football injuries that prevent their arms from full movement, some have had spinal injuries, some are too short to do some of the techniques, and some, (please excuse me) are women with larger breasts which prevent them from doing some of the techniques the way I do them. So? We adapt, we adjust, we find a way that ALL these people can do the techniques. Karen is ...not tall, so we have developed and filmed ground defenses that suit her. (Join IKI on line and we will see all these new techniques). In fact during this past trip over a dozen new IKI techniques (or applications of old concepts) have been developed, to suit your individual needs. In competitive sports there is a certain point that you must retire. A baseball catcher with bad knees - time to bow out of the game. A baseball pitcher with a bad arm? time to become a pitching coach, your days of throwing hard are over. A basketball player with sore feet or aching knees? become a sports broadcaster. But Krav Maga? Retire? Never. Until death do us part. Krav Maga is about self protection and that never ends. Krav Maga must rely on wisdom, not only strength. As our school in Limburg, Nederlands says, "We train brains, not only muscles. ", so very true! Like the Statue of Liberty says, (using the words of Emma Lazarus, an American Jew), "Give me your tired, your poor, your huddled masses yearning to be free." IKI Krav Maga echoes these sentiments; bring us your injured, your overweight, your too old for Taekwondo, anyone yearning to live free, bring them all to us, none shall be turned away. This is our goal, as our affiliates in South Africa say, "Live on your own terms" and this has no age limits. The fastest way to start your Krav Maga training and stay on top is by joining IKI Krav On Line. As new techniques develop in Israel - you will get receive them with personalized instruction, directly to your home e mail. Not sure how to counter a certain situation? Write to us and you will receive an answer. This is not an automated program. It is run by real people for real people.